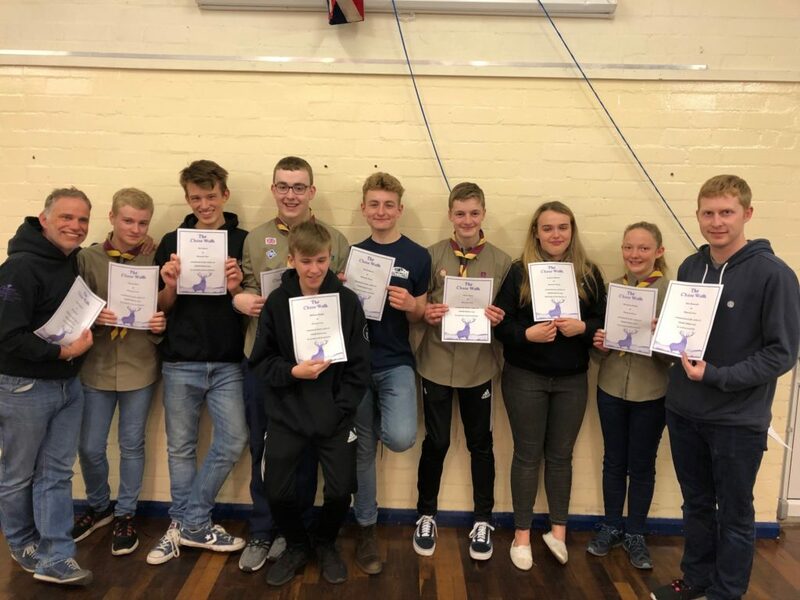 On 23rd March 2019, 14 of our Phoenix Explorers and leaders (age 14-50!) took part in a Scout organised 38.2 mile hike around Cannock Chase as we have done for several years. 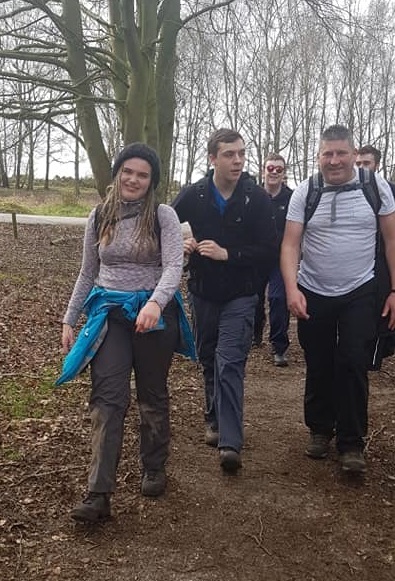 The teams set off at 4am from Alsager, started walking at 6am and returned home at midnight. 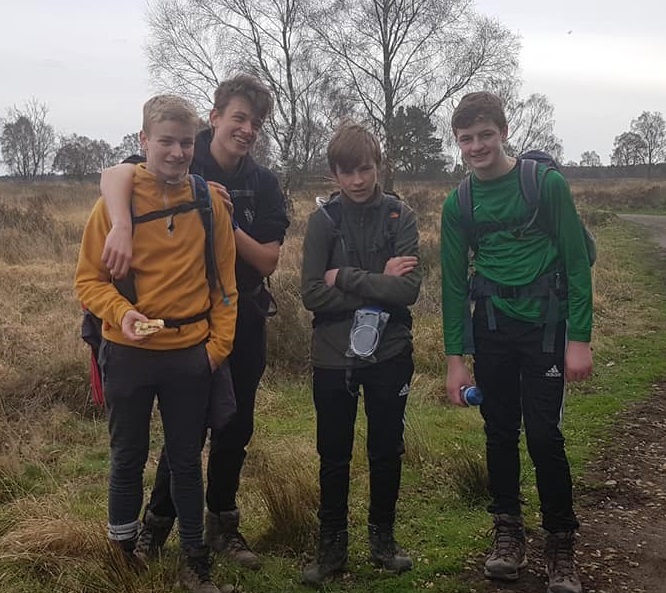 One of the Explorer teams (Phoenix 2) managed to complete the walk in 14 hours 19 minutes which is one of the fastest completion times we’ve had for a group. This time placed them 8th in the Chase Walk League Tables for under 18 year-olds. Phoenix Explorers each year chose a project to try and raise money for. This year they chose “Alsager Welcomes Refugees” after being inspired by a talk from the steering group. If you wish to support them and donate – click here. 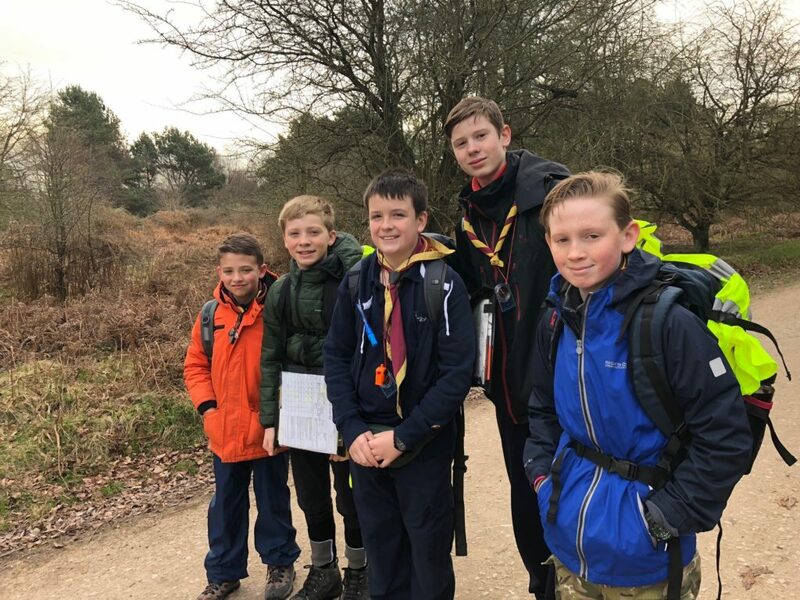 As well as the Explorer section, 5 of our Gladstone Scout members (10-14) took part in the junior walk, which was still a very impressive 13 miles! They completed this in excellent time and worked very well together as a team. See below pictures. 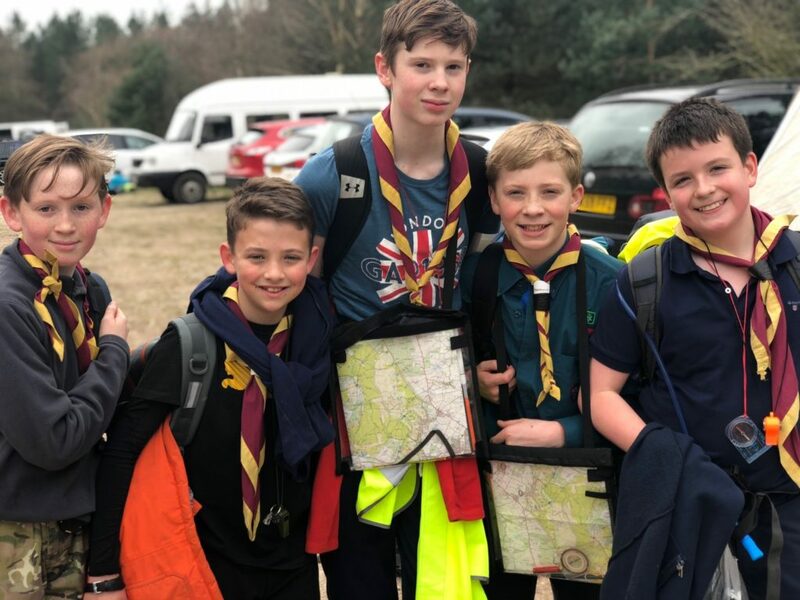 With the Scout walk being a more recent addition, we hope to enter more teams next year. A massive well done to all our members for taking part in this challenge, we are very proud of you all!